House Washing services from ARCOT Affordable Roof Cleaning of Texas cleans many exterior surfaces for the Houston, Kingwood, Humble, Spring, Texas Area. In addition to our Houston roof cleaning service, ARCOT also provides affordable HOUSE WASHING, along with many other surface cleaning services. 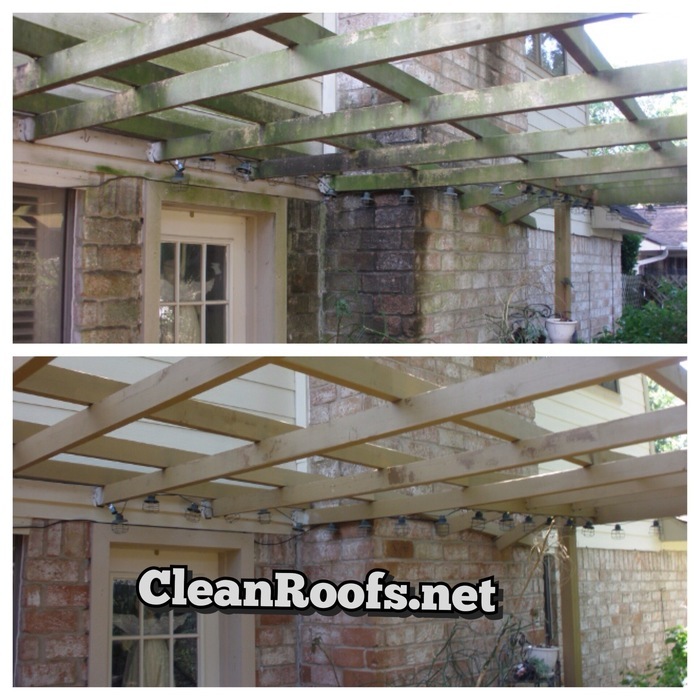 Driveways, sidewalks, pool and wooden decks, fencing and gutter cleaning are also services we gladly provide. ARCOT protects your property and investment by using only environmentally safe cleaning solutions and soft wash cleaning equipment. Pressure washing can cause damage to many typical surfaces throughout your property, so you’ll want to ensure you choose a professional service provider with many years of experience so that damage does not occur on your property as a result of heavy and high volumes of water pressure. We have the necessary training, expertise, equipment and cleaning agents to remove such difficult stains as graffiti, rust, soot and fire stains, and other organic and biological stains.